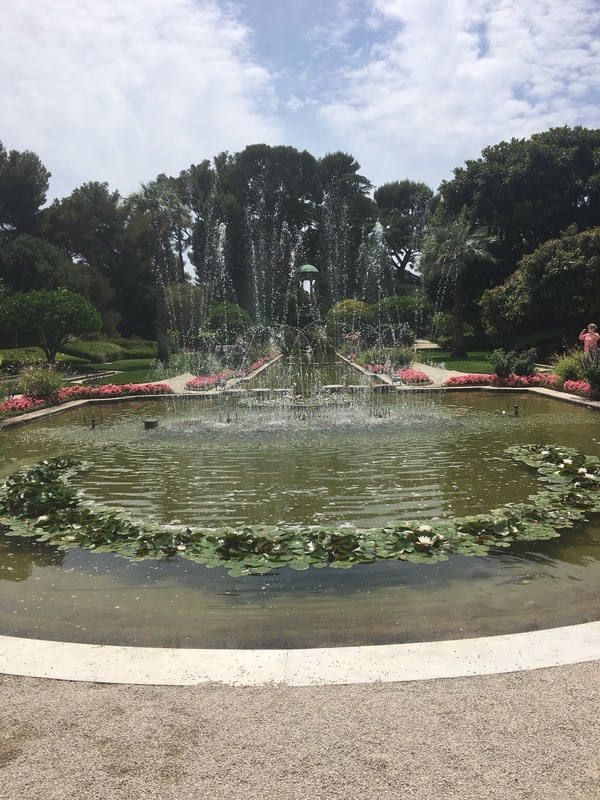 One of my favorite places to visit in the South of France is the Villa Ephrussi de Rothschild. 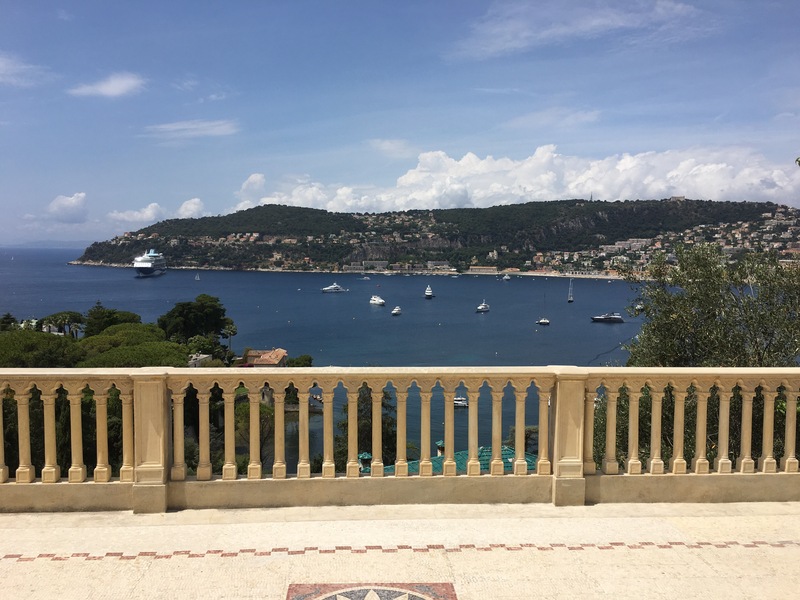 It’s a beautiful villa between Beaulieu-sur-mer and Villefranche, right on top of Cap Ferrat. 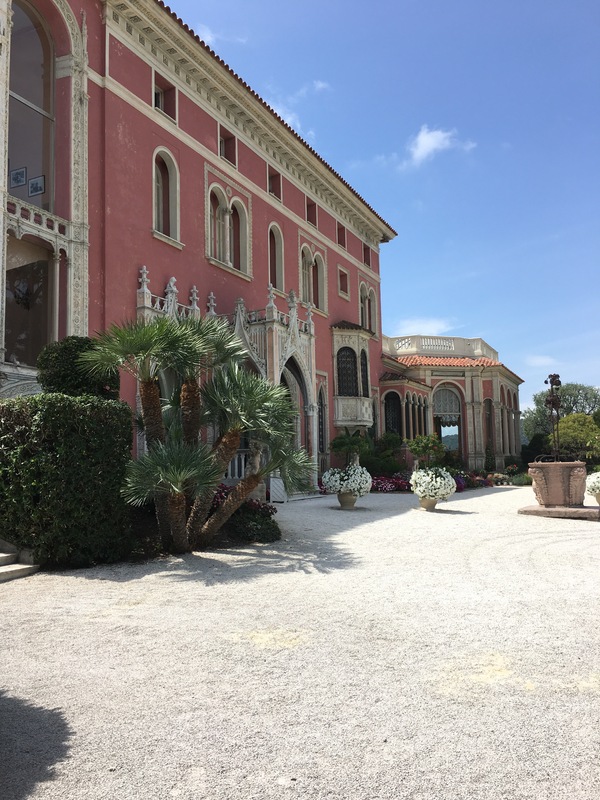 Conceived in the form of a ship, the building was inside out inspired by the countless travels of the Baronesse, Béatrice de Rothschild, and her passion for art. 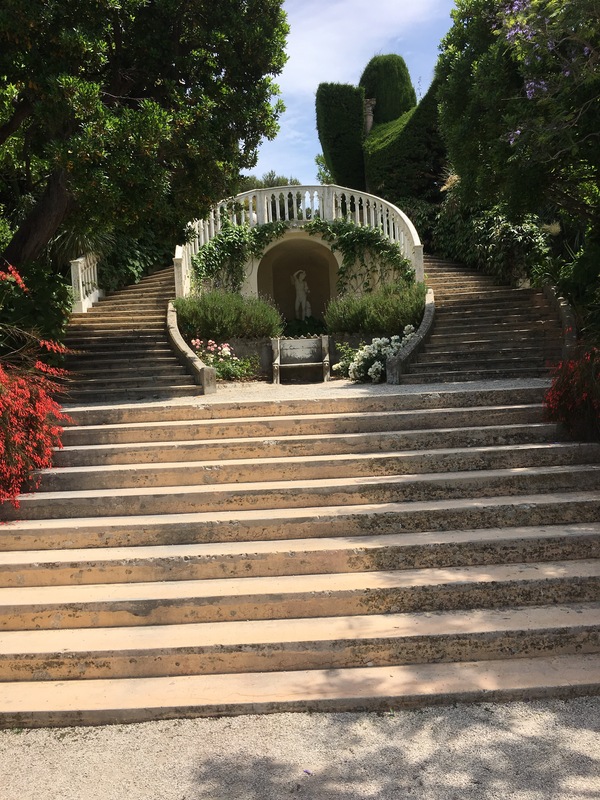 From where I live, (Beaulieu sur mer) the villa is pretty close. So once the decision is made to go and spend some relaxing time, other than on the beach, I make my way up to the place. Already the walk is worth it. Its up the hill and you get to see a lot of nice and also very French buildings. 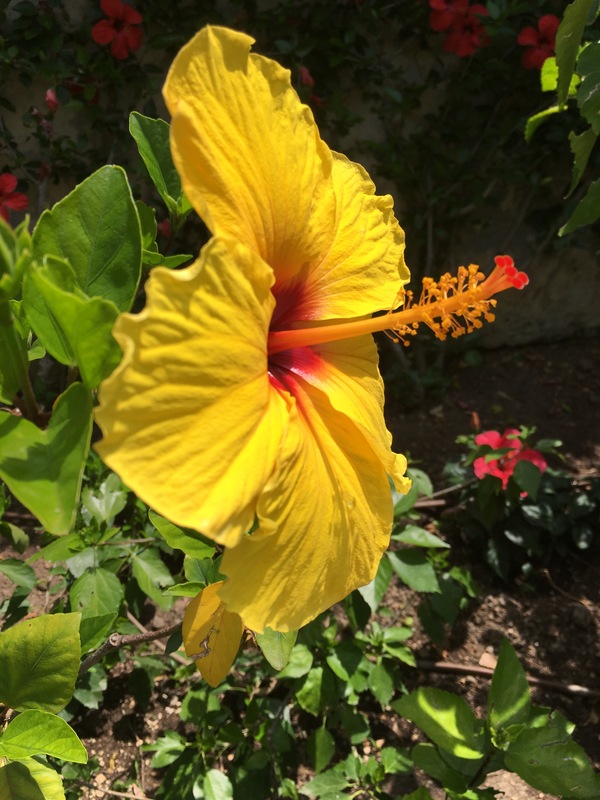 At this point of the year everything is blooming and one cannot take the eyes off the beautiful flowers all around. Also there is no way you can avoid the sea. There is a beautiful view on the turquoise blue water from wherever you stand. 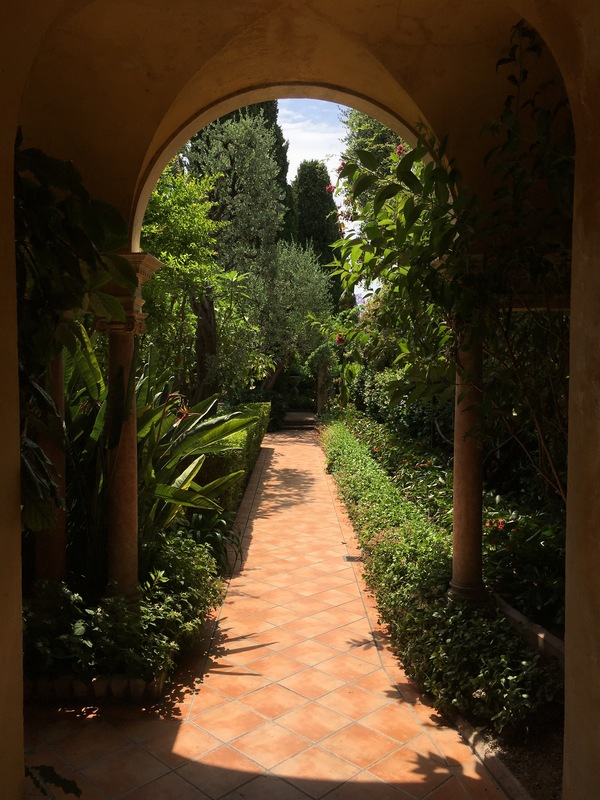 Surrounded by cypresses and other typically French plants you can take the curvy way up to the villa and its huge gardens. When the Baronesse first got the 7 hector big part of Cap Ferrat, she already had a pretty clear idea in her mind how it all should look like in the end. 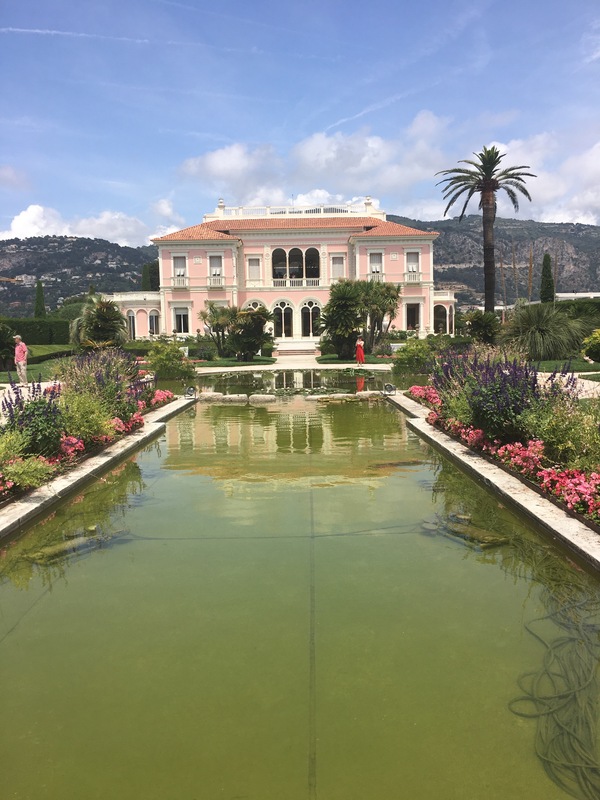 1905, when the Côte d’Azur started to become more popular and a hotspot for the high society, Béatrice Rothschild made her first plans for the new home. It is said the the Baronesse managed to drive 12 architects completely crazy before she found the ones to build her dream house with. And obviously she was not in for discussions concerning this special place. In 1907 Jacques Marcel Auburtin und Aaron Messiah, two architects, started their work which should only finish in 1912. Built in the style of neorenaissance the villa is completely painted in a light pink/ rosé tone. The favorite color of the Baronesse but also of one of her architects. Only the decoration parts are left in white. Though first the villa was planned to be completely white. 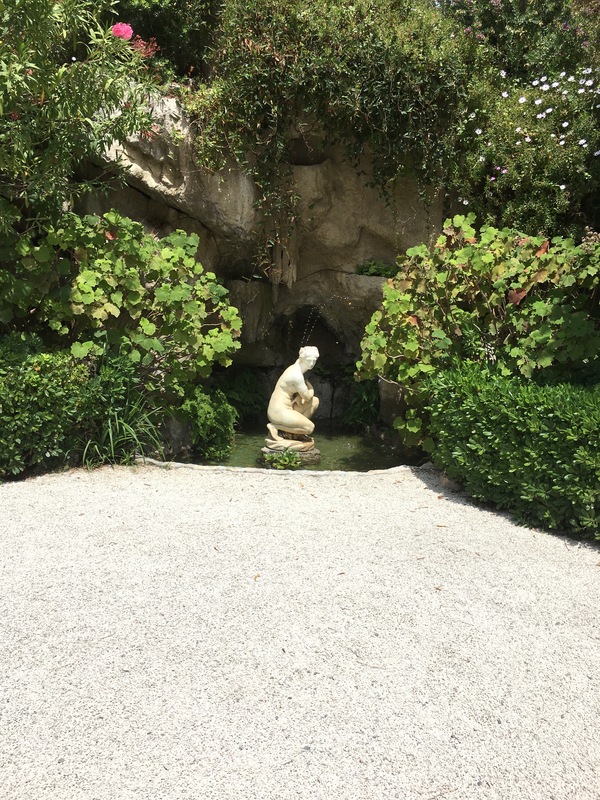 Looking as if it belonged exactly where it stands, one would not think that it was quite difficult to put up such an extravagant place on the rocks of Cap Ferrat. 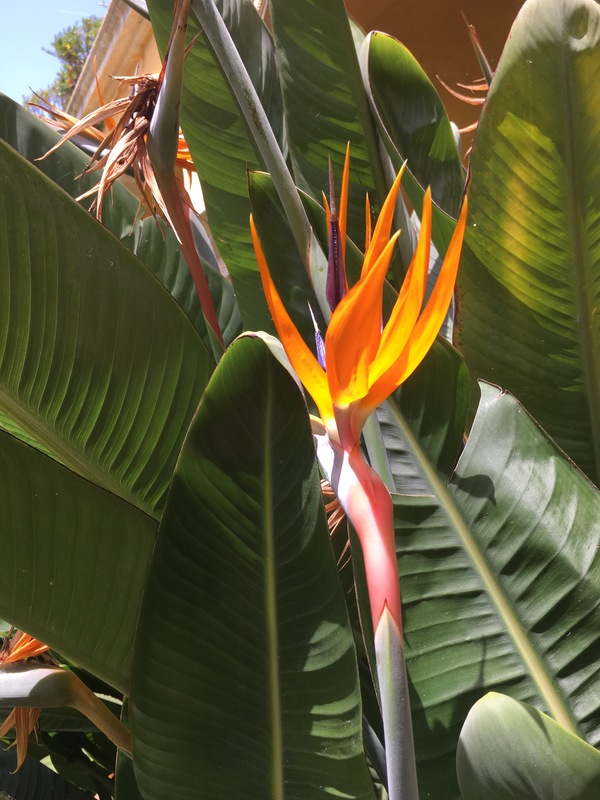 One of the main reasons why I make my way up there regularly, is because of the stunning gardens, to which I haven’t found an equivalent in the whole wide world (so far). 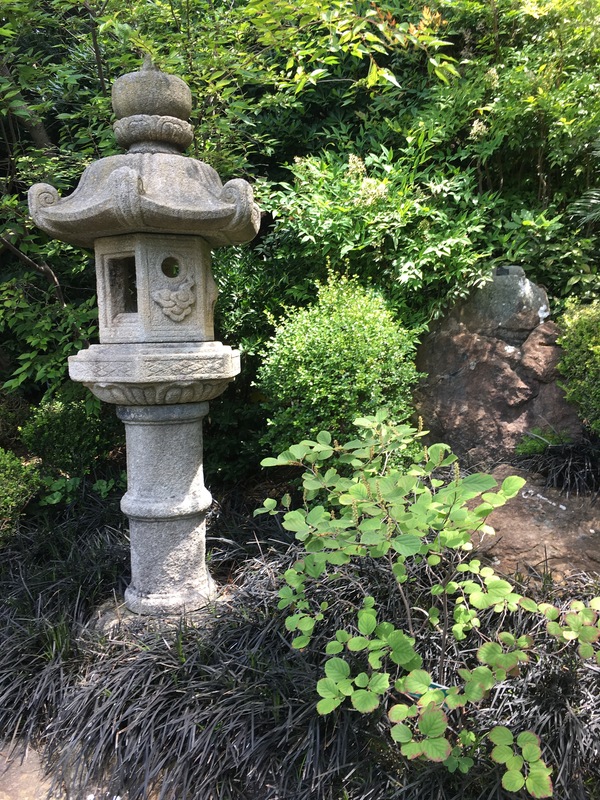 There are 9 gardens all themed differently. 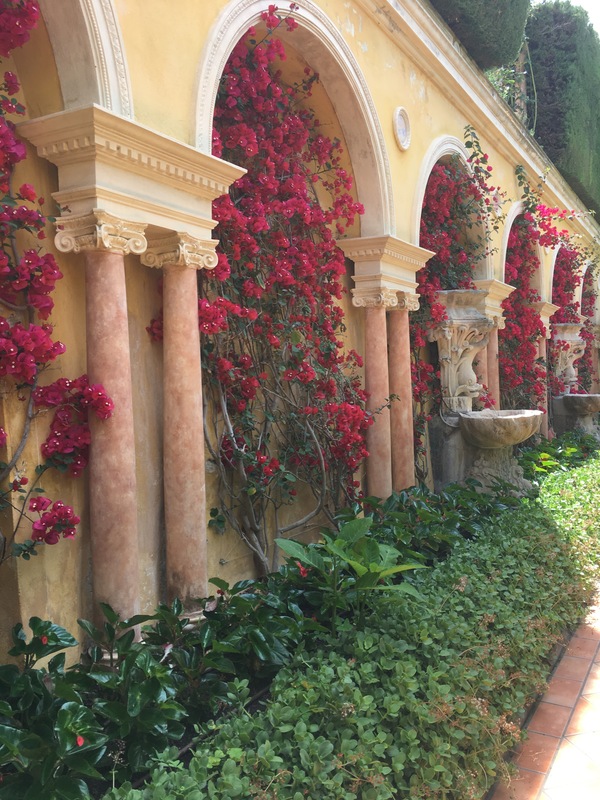 The Baronesse who was a passionate art collector had the intention to capture some of her most impressing trips in the form of gardens. Also the form of the ship is not a random coincidence. No, in fact she once took a quite impressive trip on a boat and by seeing the sea on both sides of her Villa she intended to create the illusion of being on this ship again. Fun fact: She even made the 30 gardeners who worked for her wear fitting hats and uniforms. But back to the gardens again. 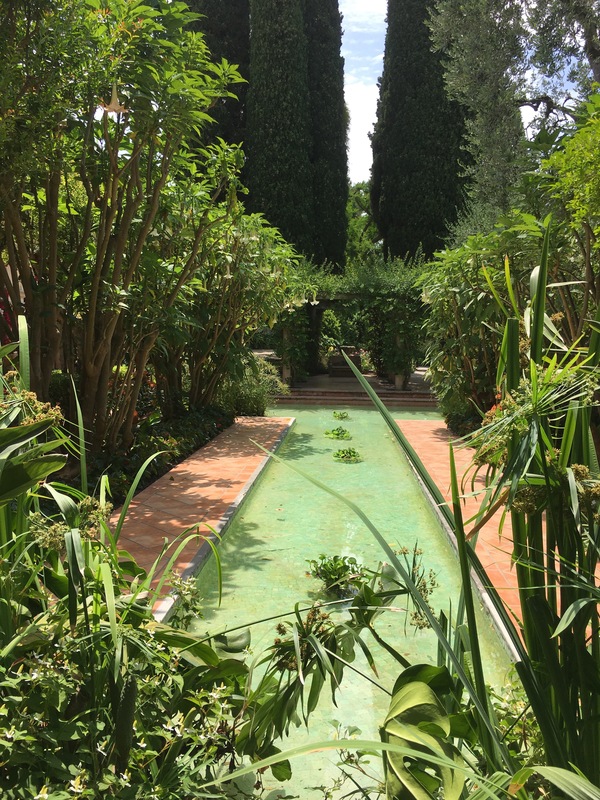 The biggest of all is the French Garden ( Jardin à la Française). In the center of it is a huge water system with water fountains. Every twenty minutes there is some sort of a water show that is accompanied by classical music. 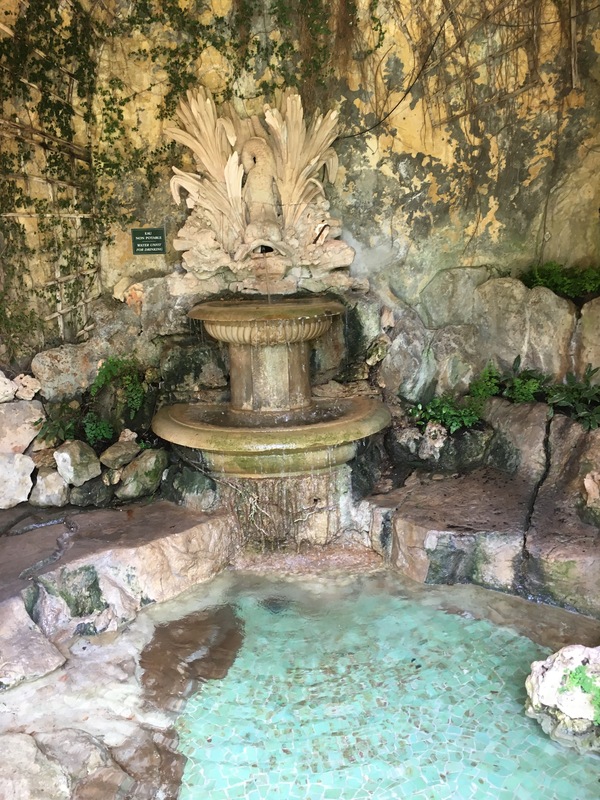 Also there is the Sèvres garden (Jardin de Sèvres), the Spanish garden (Jardin Espagnol), the Florentine Garden (Jardin Florentin), the Stone garden (Jardin Lapidaire), the Japanese garden (Jardin Japonais), the Provencal garden (Jardin Provençal), the Exotic garden (Jardin Exotique) and last but not least the rose garden (Roseraie). In each of them you can find a whole new world of plants and the atmosphere is different wherever you go. But still all the gardens have two things in common: the relaxing peace and of course the sea view. 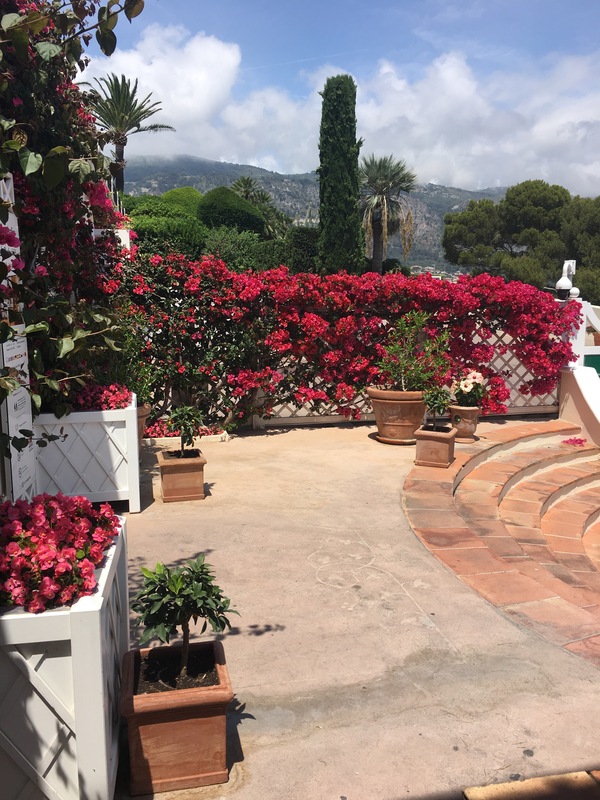 Throughout the year, there are a lot of interesting events in this location so maybe you should stay tuned to get the chance to see the villa “dressed up”. And for those of you who love James Bond: this is one of the locations where 007 saved our world (once again). 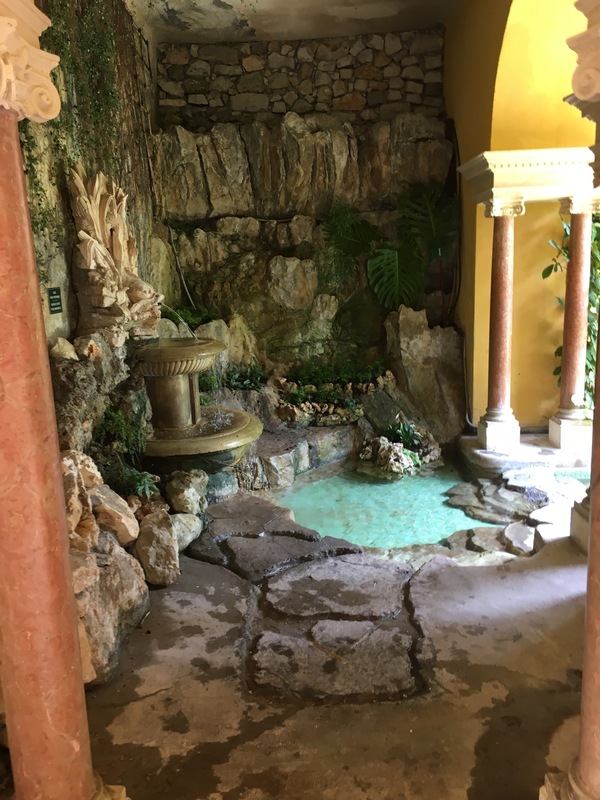 However, if you are also into art and different cultures I would definitely recommend to not only take a stroll through the gardens but also go inside of the villa.Enjoy the beauty of each piece and detail that was chosen with care. I would also suggest to read a little about the inventory of the house, since there are a couple of pieces which deserve a second look and which are even more interesting if you know the historical value. Interesting is, that the Baronesse also thought of room for exhibitions. Next to the room in which exquisite china is exhibited there are also rooms with old pieces from the French Kings and Queens and much more….The centre of it all, is the bedroom of Béatrice the Rothschild. She made sure to have a view on the sea and designed the room with some of her favorite pieces and other details mainly from the 18th century. Her former dining room was turned into a nice little café and restaurant where you can get a little shadow and nice drinks and food. Either inside the house or outside. No matter what you look at, everything in this place has a story and was designed and constructed by artists. One can say that this woman lived in her own museum. But it doesn’t feel like it. It feels like a princess and adventurous woman made her dream come true and take a little bit of the world and beautiful things in life to her home. If you would like to see or hear more about this place. Just let me know. I hope you liked this post.By the way, if you are interested in knowing the price for a visit or any other details just DM me. 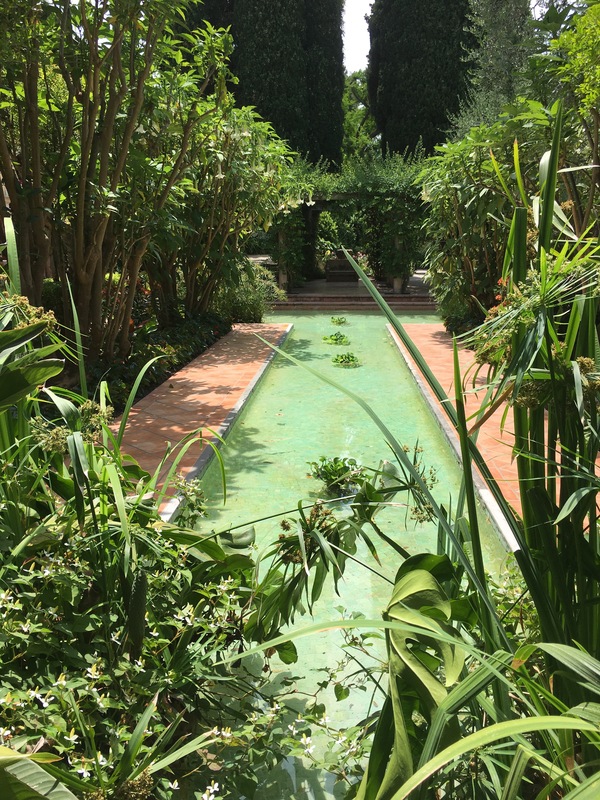 Also you can see more from the Villa Rothschild on instagram @tamarafatum. Great post tamy. Makes me miss Beaulieu soooo much. Love your writing.